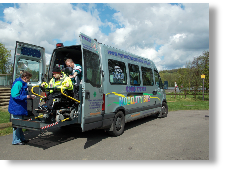 The service is open to individuals with severe mobility problems. 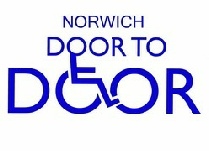 The day to day operating area is Greater Norwich which includes, as well as the City Centre, Taverham Garden Centre, Drayton, Hellesdon, Catton, Sprowston, Thorpe St Andrew, Trowse, Lakenham, Eaton, Cringleford, Earlham, Bowthorpe, Costessey and the Riverside Development. Normal operating times are 10am-4pm Monday to Friday. To join contact the office on 01603 776735 for a registration form. 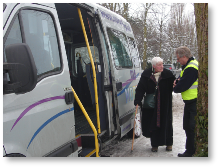 Once accepted to join the scheme passengers pay an annual £15 registration fee. Each standard single journey is £3 each way. Average journeys are usually about 3 miles. For long(er) journeys and group bookings they will quote. Telephone 01603 776735 between 10am and 1pm. For social trips – Up to 2 days prior to your planned journey. For the doctor, dentist or other health and therapy appointments – Up to 7 days prior to your planned journey.